In a survey of 1000 Canadians, 31% of people said that companies that use AI in their operations and customer communications are the future. People recognize the potential of AI and companies can no longer afford to be ignorant. AI is now disrupting every industry and the question is whether established companies will take proactive steps to ensure that disruption doesn’t happen to them. 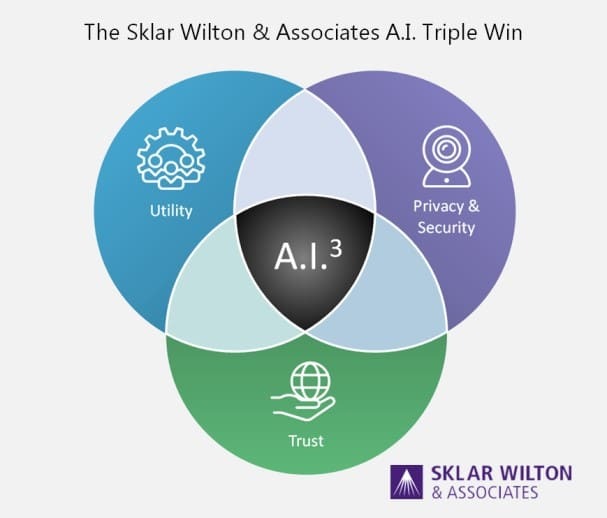 The long-term path to success with AI requires companies to approach the integration of AI through an “AI Triple Win” framework of utility, privacy/security, and trust. Utility: AI must solve pain points, add value, and serve genuine needs. Privacy and Security: Companies must incorporate privacy as a fundamental principle in every aspect of their work as opposed to an afterthought, and data must be held safely. Trust: Companies must achieve AI for Good, not simply AI for profit. Let’s consider each pillar in more detail. To have the goal of using AI simply because competitors are using it is misguided. Whether creating utility means answering customer questions within seconds, serving consumers with more relevant website ads, creating product delivery efficiencies, or entertaining people while they wait for a taxi, every AI tool must serve a genuine need. Companies must have clarity on the role that AI can play in for them in growing their company and that requires Utility. Within companies that focus on retail and customer service, AI tools help people find clothes that fit properly (Levi’s), and answer questions about products and services (Sephora, Lowe’s). Alibaba, a leader in applying advanced technologies in the retail space, has even employed smart racks and mirrors to help people see themselves in new styles without ever trying the clothes on, a boon for accessibility. Our research has showed that Canadians feel positive about AI in the customer service space. Many people believe that AI has the potential to improve customer service (40%) and can provide the same or better customer service than a person (20%). Further, 59% of people would feel comfortable with AI providing recommendations on what to purchase. 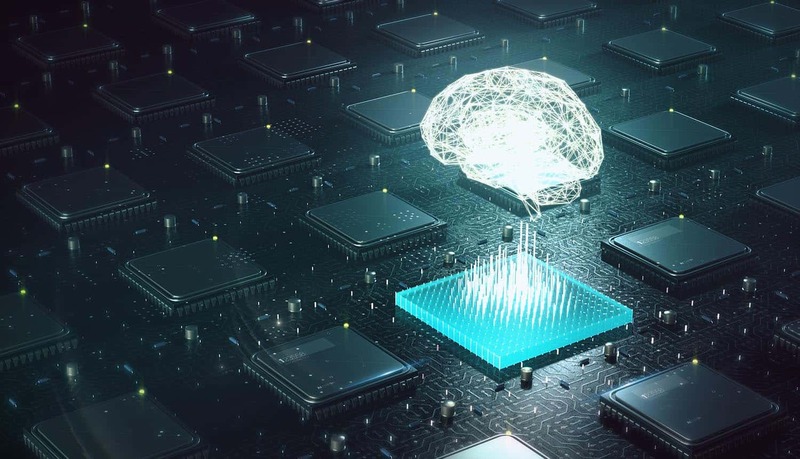 Given that 36% of people say Canadian businesses should invest in using AI technologies to run their business, it is clear that consumers are ready for companies to use AI. Unfortunately, few companies have made the second pillar, privacy, a key differentiator. DuckDuckGo, an internet browser that purposefully does not track its users movements (unlike Google, Firefox, and others), is enjoying increased consumer interest. Snips is an up-and-coming voice assistant alternative to Alexa and Siri that focuses on privacy and security. And Purism builds digital technologies with security as the main feature. What companies can do, however, is make privacy and security key components of their publicly displayed company policies. Plain language allows anyone to understand what data a company is collecting and for what purpose (Apple, Encircle), what changes have been made to privacy policies (Fitbit), and how to withdraw consent for the collection of data (Danske Bank). 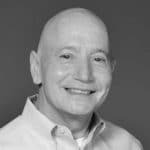 Charlie Wilton, CMRP, FMRIA, is a Partner at Sklar Wilton & Associates, a marketing strategy and research firm that brings clarity to tough business challenges through the fusion of strategic counsel, facilitation, and insight. From brand planning, positioning, architecture, and innovation, to shaping corporate culture and leadership, Charlie has helped global and iconic Canadian brands grow and succeed for more than thirty years. Whether it’s the growth of the SW&A team or his client’s business, Charlie takes great pride in helping and enabling others to succeed.